I’ll describe a project on community empowerment, and some key lessons. First, I’ll address why empowerment is scary, often promised but not fulfilled in particular cases, and basic guiding principles for overcoming the challenges of community empowerment projects. Those of us in the public participation field genuinely enjoy engaging with communities, yet many of us are still not comfortable with the empowerment model of public participation. We like to talk about empowering communities to provide public comments and input, but many cringe at the thought of actually empowering communities to become decision-makers. The thought of losing control of a project and the potential for failure is enough to make many public participation practitioners stop short of full empowerment and opt for the “collaboration” or “engage” methods identified in the IAP2 spectrum. Decide – Taking on the task of implementing an empowerment model of public participation is no easy feat and is not something to do accidentally. The project team must analyze the merits and potential challenges and decide early on whether or not to embark on this journey. Then the project team must obtain strong leadership support to implement. Implement – While there are a variety of techniques that can be used to empower the public, I have found that hands-on approaches are most effective at engaging the entire community. Often the empowerment model fails because the entire community is not fully engaged, rather just a handful of community members are consistently active in the decision-making process. By using interactive hands-on engagement tools, including dot voting and tactical charrettes, the barriers of language, age, race and income are broken down allowing the entire community to participate. Listen – You can find any number of proverbs, fables and sayings that point to the importance of listening. My personal favorite is we have one mouth and two ears so that we can listen twice as much as we talk. In the community engagement field it is important to listen, but especially so while implementing an empower model of outreach. Often communities, especially lower income and/or immigrant communities, are hesitant or even wary of becoming involved in a public process. If they take the step to become involved it is critical that public participation practitioners reciprocate by using active listening skills and documenting the community’s input. Follow Up – The crux of the empowerment model is that public practitioners promise the public they will implement what the public decides. Thus, similar to active listening, following up with communities is equally important to maintain trust and partnership. By consistently and transparently providing updates on the implementation process, the community is more likely to actively participate in current and subsequent public participation efforts. Project success – Although we were ultimately not funded by the U.S. Department of Education, our proposed project continued to be implemented in a way that mattered to the community. Knowledgeable as we all were on community issues, the co-applicant consensus was to request funding to decrease the so-called digital divide by providing free Internet access and computer equipment to residents in the proposed project area. 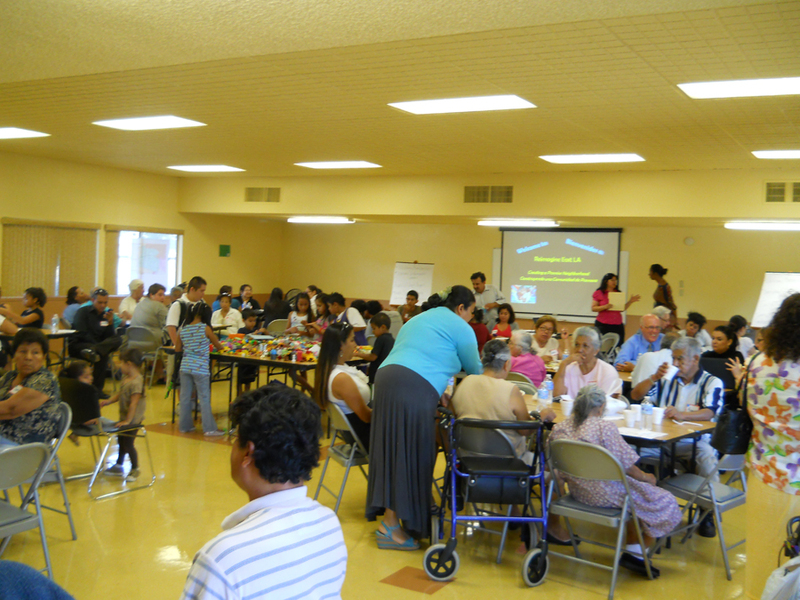 By using community engagement methods that empower the public, we learned that while technology was important to residents, this predominantly Spanish-speaking community was most concerned with learning English as a means to increase educational and employment opportunities. In response we partnered with a statewide non-profit organization that provides parent engagement training and reading challenges for youth. Another high priority for the community was access to fresh food as the community was a bona fide food desert full of convenience and liquor stores but limited on fresh grocery options. 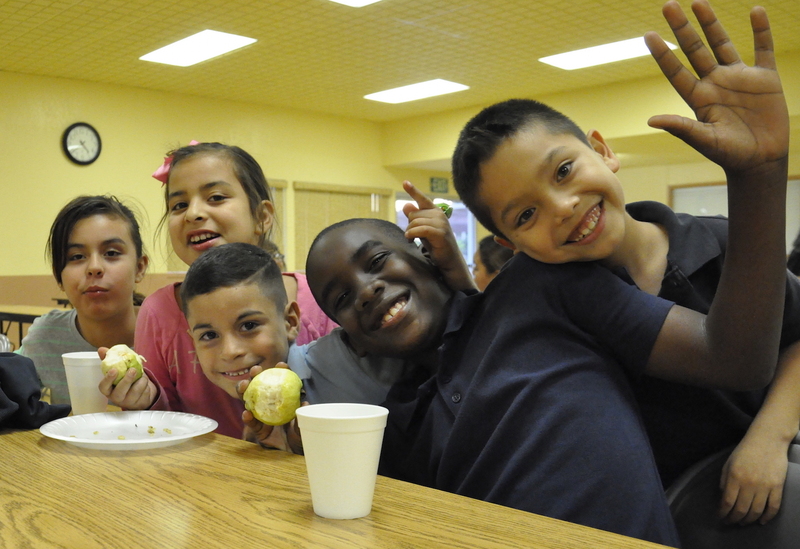 To combat their concerns with food justice we also implemented a program called “After School FUEL” that brought school age youth and their parents together for healthy cooking demonstrations and exercise classes. Stronger coalition – With the community needs clearly outlined by the community itself, our coalition was able to better develop its proposal in a cohesive manner. Additionally, our coalition of organizations developed stronger ties that allowed us to provide needed services and programs to the community at large in a more integrated fashion. Overcome stereotypes – When presented with the opportunity to implement an empowerment model of engagement there were many naysayers and skeptics. The phrases “this community won’t even come to a public meeting let alone be responsible for voting,” “we’ve always done a traditional public meeting” and my favorite, “we are wasting our time and resources,” were uttered more than once. However, with standing room only capacity, community members extended a two-hour public meeting for an additional hour – not because they were complaining or voicing anger, but because they were truly engaged. 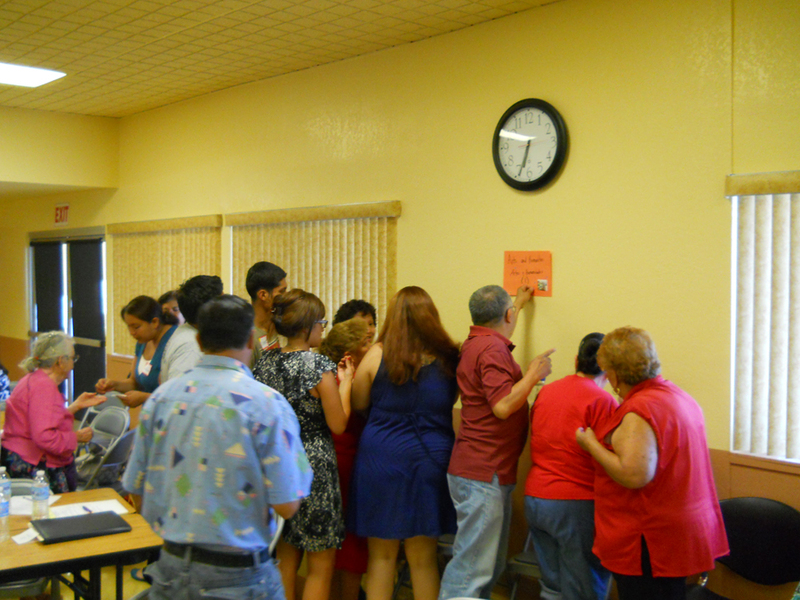 Young and old eagerly used circle stickers to vote for their favorite project types, asked insightful questions, and presented their ideas on improving their community. While not every project or community issue can be addressed by implementing empowering community engagement techniques, when used appropriately they have the power to not only empower community members to become decision-makers but also to empower public participation practitioners to develop the most effective and impactful programs, projects and services. Jennifer is a Public Involvement Specialist for Burns & McDonnell, an engineering and environmental services firm. She has 10 years of experience in community engagement and relations and a passion for community development. When Jennifer is not developing public outreach plans, she can usually be found building sand castles or collecting acorns with her toddler son and husband. The Empowerment model of public participation is unique to most other related fields of practice. Our country has a rich history of revolution and grassroots changes – just look at how this country was created with the success of the Revolutionary War, followed by the Civil War and Civil Rights era. All of which the general populace voice was being demand to be heard. That being said the International Association for Public Participation (IAP2) USA annually highlights the achievements of organizations and municipalities nationwide that successfully implement P2 practices. Some great examples include St. Vrain Valley (Colorado) School District that have wholeheartedly embraced public participation. They provide P2 training to parents, use a participatory method of budgeting, and take other steps to give voice to the people that matter most: students, parents, and community. 1) VOLUNTEERS! During the case study examined above, we worked with residents of the public housing community to go door-to-door and invite their neighbors to participate in this visioning process. Not only did the residents get the personal touch of direct outreach but they also get the understanding that community buy-in to the process is already beginning. Plus the volunteers get solid community relations experience and the feeling of giving back and being connected with their community. 2) LEADERSHIP SUPPORT!! It’s important to have leadership support for a variety of reasons, none the least for financial backing. During the case study above, one major financial commitment made by the Housing Authority leadership was to fund dinner for all meeting attendees. The meeting was held during the dinner hour (planned 5 pm to 7 pm) and I lobbied our leadership to include dinner because how can we expect mothers, fathers, and grandparents to participate when their primary concern is feeding their children. This small gesture made it possible for families to become civic players in their own community. Added bonus: we contracted with a local small business that provided culturally appropriate and healthy dinner options. 3) OUTSIDE FUNDING!! Sometimes it seems impossible to find funding for implementing public participation yet alone empowerment level P2. Believe or not there are some funding sources that support this level of outreach. Many private philanthropies are open to support outreach efforts as part of a larger project development/expansion. Some CA-based funders that I have found support these efforts include Pepperdine University Davenport Institute for Public Engagement and Civic Leadership, California Endowment, and First 5 LA. The challenge is there is a finite amount of funding available and entities interested in securing funding for delivering an empowerment model of P2 must show their organizational strength, program impacts, and how that effort connects with the funders’ overall goals. Great time!!! One of my earlier workshop and I have learned so much since than. I sure the community participants still remember that activity. It was a great day for East LA. 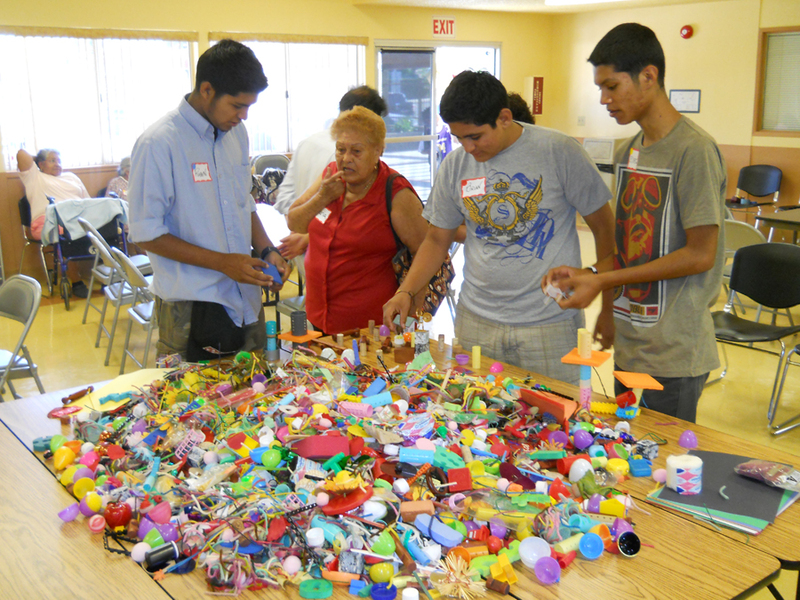 Our partnership really helped residents of all ages voice their desires for their community in a meaningful way. James, how has your process changed since then?